Chair 31, designed in 1954 by Florence Knoll, produced by Knoll until 1968. The lightness of this easy chair comes from the fact that the backrest and seat cushion are separated by a gap. Tubular steel base with black finish. 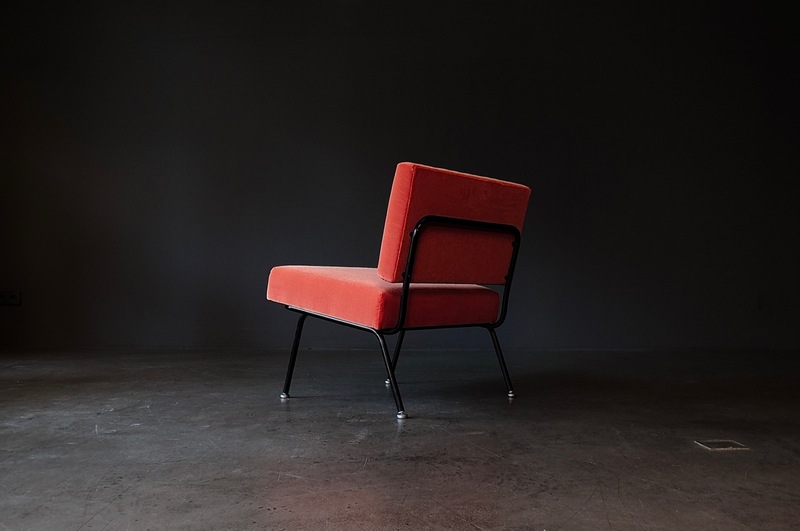 The Easy chair is newly upholstered with a coral velvet from Kvadrat’s Raf Simons collection. Depending on the incidence of light, the fabric changes from curry to raspberry red.